Welcome to Day #6 of Chocolate and Strawberry Theme Week. 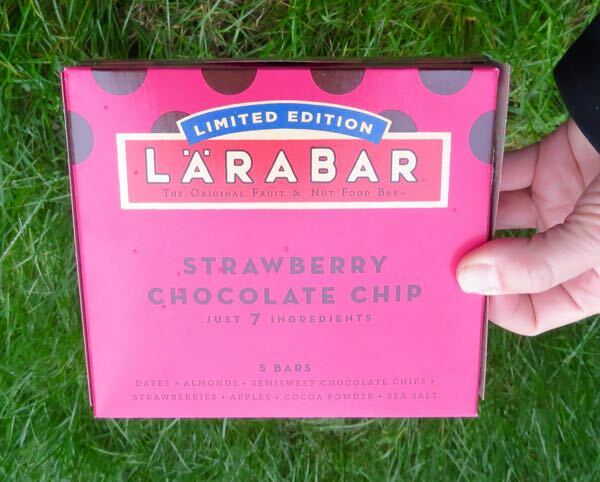 Today's Larabar Limited Edition Strawberry Chocolate Chip bar from Small Planet Foods, Inc. (Minneapolis, MN) was constructed with a relatively short list of ingredients: Dates, Almonds, Semisweet Chocolate Chips, Strawberries, Apples, Cocoa Powder and Sea Salt. 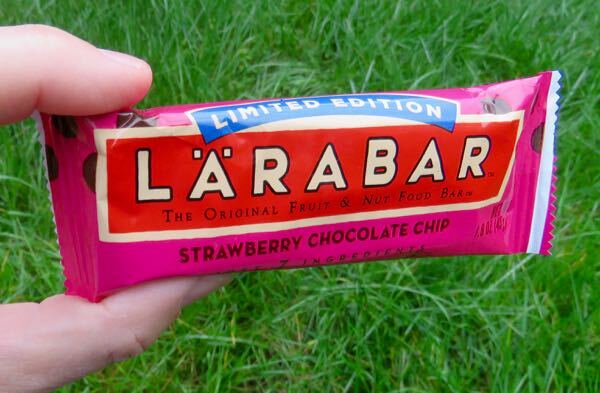 The original Larabar fruit and nut bar line was launched in May 2000 by founder Lara Merriken. 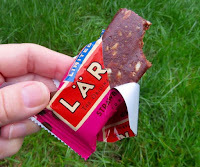 Natural tasting, not too sweet and very satisfying, this gluten-free, dairy-free, Non-GMO and vegan bar had balanced, rich dried fruit, cocoa and strawberry flavor.